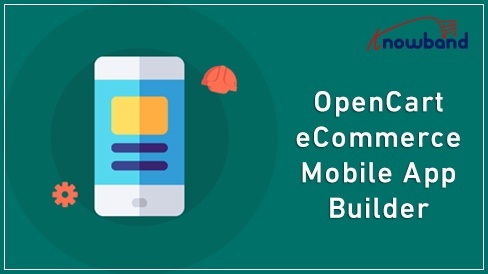 OpenCart eCommerce mobile app builder provides a ready made framework to develop an eCommerce app for your store. With Knowband's Android and iOS mobile app builder, any OpenCart store owner can establish effective synchronization between OpenCart store and mobile application. There is no need for the store owner to synchronize the inventory and related details manually. Knowband's OpenCart eCommerce Mobile App Maker is compatible with all the versions of OpenCart. The store admin gets all the functionality in the mobile app same as of desktop website. It will help in your business growth and provide an engaging platform for all customers. 1. The OpenCart mobile app builder extension offers a bundle of themes in app to choose from. The admin can easily match app theme with website theme. 2. OpenCart mobile app builder plugin offers real-time web store synchronization between online store and mobile application. Website data is automatically synced with mobile application without any manual effort. 3. The OpenCart eCommerce mobile app maker creates mobile and tablet optimized application that works flawlessly on every hand-held device. 4. Mobile application offers a number of social login options. The store admin can select the login options from the admin interface of the OpenCart mobile app builder plugin. 5. OpenCart mobile app builder supports all sorts of products. App users can buy any type of product whether it is single, combined, bundled or virtual. 6. The OpenCart Android/iOS mobile app creator supports various shipping methods. It even supports multiple sorts of payment gateways. 7. The Android and iOS apps developed by OpenCart eCommerce mobile app maker extension has inbuilt Zopim chat service that allows the store admin to offer 24/7 live support to the customer. 8. OpenCart mobile app builder offers multi-lingual and multi-currency support. It even supports RTL writing style. 9. OpenCart eCommerce mobile app creator narrows down lengthy checkout process to single page. The simplified one page checkout makes it easier for the customers to complete their transaction. 10. The easy order tracking offered by Knowband’s OpenCart eCommerce mobile app builder allows the customers to track their order status easily through mobile app. 11. The admin can even offers a Wish list option to the store visitors. Mobile app users can save their desired products in the wish list for later purchase. 12. OpenCart mobile app builder offers unlimited push notifications to the customers. Thus, the store admin can easily send promotional triggers and use this feature as a handy marketing tool. 13. OpenCart Android mobile app builder offers voice search options. This features is missing in the OpenCart iOS mobile app builder. Mobile app users can search the products through their voice commands. 1. OpenCart store merchants can provide 24/7 live customer support to app users with the help of Zopim live chat feature provided. 2. OpenCart store admin need not to worry about the device used by customer as mobile apps developed by OpenCart Android/iOS Mobile App Builder supports multiple screen size. 3. Order tracking facility on mobile app motivates the user to revisit app, enhancing the chances of more purchase. 4. Having multi-lingual support, OpenCart store owners can easily target the global and regional customer base. 5. OpenCart store admin can motivate the customers to login through social login options provided by OpenCart eCommerce Mobile App Creator. 6. OpenCart online sellers can easily upgrade their web store into mobile application and enhance their business growth through real time synchronization provided by eCommerce app maker.